“Carbs are bad for you”. Having declared that, you immediately swear to cut out all carbs from your diet. Why? Because carbs are EVIL. Diets such as the paleo and Atkins diets have popularized the notion that carbs are redundant and will only make you fat. Is it true? Well, if you’re as clueless as this, then don’t worry. We put together a crash course on carbohydrates to help you navigate your way through the internet chatter. Carbs, or carbohydrates, are the main source of energy for your body. Providing an average of 4 calories per gram, these carbs are present in almost all foods. Yes, even those “zero carb” foods. Don’t mix these two up! One you should be consuming more of and one you should be cutting down on. The first few contains glucose, aka sugar, which is what makes these foods so addictive. While glucose is present in fruits and milk, the body breaks down these naturally-occurring sugars differently, much like how it processes complex carbs. These take the body longer to break down, leaving you feeling full for longer. More often than not, they are high in fibre, protein and healthy fats, as well as essential vitamins. The “brain fog” – similar to the feeling you get after you just woke up – persisted in those consuming lesser carbs. They were unable to stay sharp and were much more forgetful. The production of serotonin, which is responsible for that feel-good feeling, is stimulated by carbohydrates. People who followed low carb diets were more prone to depression as compared to those with a hose assigned to a higher-carb diet. By now, it is common knowledge that fibre is good for your gut health. Oatmeal, which is rich in fibre, is able to keep bowel movements smooth and even help burn more fat! 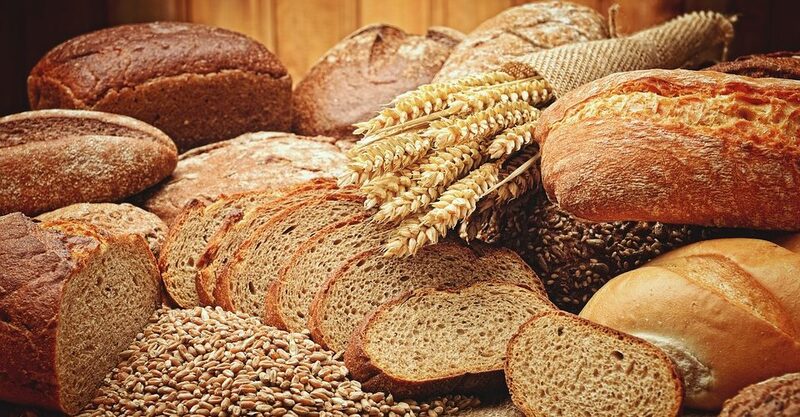 Because of its characteristics of a complex carb: providing a steady stream of energy to the body, those who consumed such carbs did not suffer from a sudden rush in energy which left them hungrier. As a result, they consumed fewer snacks after. Low-carb diets: will carbs make me fat? There are many reasons why people follow a low- carb diet. Health issues and weight loss are just some of them. As its name suggests, a low-carb diet (think keto) restricts the amount of carbohydrates you eat. Involving 40% or fewer calories coming from carbohydrates, it isn’t without risks. Feeling weak, dizzy, having headaches are some symptoms of these low-carb diets. Such eating habits may not provide necessary nutrients and hence is not recommended to follow in the long term. Because excessive carbohydrates are converted into glucose- and too much glucose in your system will be stored as fat- thus the low carb diet coming into existence. However, those consuming a moderate amount of carbohydrates need not worry about the adverse effects. On the other end of the spectrum, there are diets that are made up of a high proportion of carbs. You may have heard of athletes “bulking up” on carbs before a big race, or before an intense workout. Carbs provide the extra energy required for athletes to perform at their best. Mentally, it gives the brain the fuel needed to push through a strenuous workout routine. Even daily exercises which are more intensive (running, swimming) calls for more carbs because the more carbs you eat, the more glucose your body to stores in the muscles. Good news: Your body then has more fuel available for the next round of exercise. Of course, a high carb diet is not suited for people of all ages, especially those sedentary and the elderly. ABSOLUTELY. Carbohydrates are the body’s main source of energy. Whether you embark on a high-carb or low-carb diet, carbohydrates are essential to sustain our basic bodily functions. If you are a normal, healthy human (not a pro athlete/suffering from medical conditions), you’ll probably require around 45 to 65 percent of total calories to come from carbohydrates. That means 900-1200 calories from carbs for a 2000 calorie diet. All day, every day! Yes, seriously. Spread your carb intake evenly throughout the day, and pair it with some protein and fat to stabilize your blood sugar levels. Go forth and eat carbs with a peace of mind!